When it comes to holidays, it's hard to think of May without getting excited for Cinco De Mayo, the popular Mexican-American holiday that's an annual guaranteed good time no matter where you live. This year, OurStage is planning a little Cinco De Mayo bash of our own. If you are a Latin artist on OurStage or a Latin pop, Latin rock, Latin hip hop / rap or Latin Alternative Rock artist on MTV DEMO, enter your hottest track into the OurStage "¡Viva La Música!" Latin Song Competition by May 23, 2011 for your chance to be featured in an exclusive OurStage "¡Viva La Música!" playlist. The playlist will feature the hottest artists in the channel as selected by the OurStage editors and will be offered as a free download to the ENTIRE OurStage community. That's some serious publicity people. Participants must be thirteen (13) years of age or older at time of entry. Vocals are allowed but not required. Copyrighted images/album art may NOT be used accompanying any entries and will be cause for withdrawal from the competition. 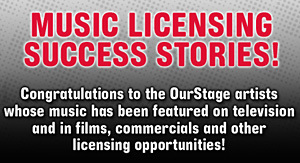 Only submission materials that are determined, at the sole discretion of OurStage, to be classified under Latin as defined on the OurStage FAQ's or Latin Pop, Latin Rock, Latin Hip Hop / Rap or Latin Alternative Rock as defined on the MTV DEMO FAQ's will be deemed valid entries.